Hv y vr wndrd abt vwls? Or should I say, have you ever wondered about vowels? We use them all the time and they make up the first words that we learn at school. Nearly all our words have vowels except for some short ones like “dry” or “sky” or “hymn” and those languages that use the Latin script but have a slight phobia about vowels such as Welsh or Polish can be quite difficult for others to speak. Who can forget the classic Welsh train station “Llanfairpwllgwyngyllgogerychwyrndrobwllllantysiliogogogoch” or the Czech tongue twister “Strč prst skrz krk”? I did write that correctly though I know it looks like I dropped my cup of tea on the keyboard. I remember when I was at university studying Africa, Asia and the Middle-East I spent much time learning the basics of a few languages. 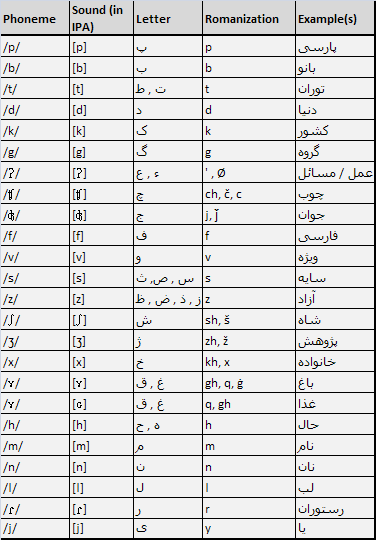 Most of them didn’t have vowels in them and Farsi in particular was a little bit of a nightmare in its original script as not only were the characters unfamiliar the vowels wee missing because there weren’t any. My professor would tell me that reading Farsi was one of the most difficult things one could do and that it was quite possible for two people to read a page of text and both come to totally different conclusions. He was joking but only slightly joking and given some of the unusual things that happened there you couldn’t take anything for granted. For Arabic for example the core word for writing is Ktb. From here you can get kātib “writer,” kitāb “book,” kataba “he wrote,” yaktubu “he writes,” . It is very difficult to guess how to read or even speak a word on its own. What you really need is the context of the sentence which means that though it can be difficult picking up new words, if you know enough of the surrounding sentence then you can work out what you’re reading. Even though the older languages don’t have vowels, they do have vowel sounds or what is called “Mater Lectionis” and so if you are really stuck you can just try saying the word with different vowels and see which sounds best. It would be the same if you see the letters “h-lf” in English. Though you could insert various vowels, only “half” sounds right. Others like B-D could be “bid”, “bad”, “bud” and “bed” and you only know which is the right option by knowing the wider context of the text. When we were at school we all learnt how great vowels are as they take the ambiguity out of text if not always from English itself. Vowels make our words look attractive, easy to read and beautiful to speak but they aren’t entirely necessary. The irony is that after thousands of years of linguistic evolution, many people these days have reverted to basic English without vowels. Anyone with mobile phones or twitter feeds will be somewhat familiar with txt spk and words including GRT, SYL, TC, GTG, MSG, WYWH and the like. This entry was posted in Culture, writing and tagged Culture, English, Farsi, Language, Literature, Mater lectionis, Vowels, writing. Bookmark the permalink. Short hand omits vowels as well – looks like we are going backwards! Yes, just like those jokey cartoons that show people evolving from apes and learning to stand up straight only to go back to being hunched up again over a keyboard! I have studied a lot about phonation, articulation, linguistics, foreign languages, and acoustical phonetics. I did not know about Farsi. Your post is a very interesting addition to my knowledge base. Thank you. Thanks Rosemarie. I find languages fascinating. I remember one old Russian Professor (he fled Russia when Stalin poisoned his village well) could go from a word in India all the way across Europe to the U.K with its local variations and what it’s origins in each language. He could also tell just by the surname exactly what part of which country they or their family originated from centuries ago and where they came from earlier still and their precise ethnic sub group. I was always his Anglo Saxon friend or so he would call me in class. That is funny that we are resorting to words with no vowels. Ha! We are going backwards with all this technology. We are indeed. I wonder if anyone has ever written a blog or published a book entirely without vowels. It would certainly save on publishing costs! But you might need a guide for all the acronyms! Ha ha. In seminary I learned that Ancient Hebrew had no vowels, which is how several Old Testament passages can be interpreted in different ways, but I never thought about the way we’re reverting back to this with text talk! Interesting…thanks!